St. Cloud is a city found in Osceola County, Florida. It's about 26 miles to the southeast of Orlando and has a population of about 43,000 residents. The city is a part of the Orlando Metro area, which has a population exceeding 2 million residents. With the close proximity to Orlando, St. Cloud ends up with plenty of visitors every year. Kissimmee is found just a few minutes away, which is the home of Disney World and many other attractions. As visitors funnel into the area, the roads become packed with drivers with all types of styles of driving. Many drivers don't know the roads very well and it becomes rather dangerous. St. Cloud is served by US 192 and other major roads. It's also close to Interstate 4, which is one of the busiest interstate in Florida. I-4 is known as the third most deadly highway in the United States. Many fatal accidents happen on I-4 every single year. The mixture of visitors and regular residents makes it dangerous to drive throughout the Orlando Metro area. Traffic crashes in the area are on the rise every single year. Could you imagine how bad it would be if the law enforcement agencies found in the area didn’t' monitor the traffic? About 51,000 traffic tickets were issued in Osceola County in 2015. Out of these tickets, more than 29,000 were given to those speeding with another 7,400 handed out for running through a red light or stop sign. Another 3,300 tickets were issued to careless drivers, which is the top offense leading to traffic accidents in Florida. About 6% of the total number of tickets issued in Osceola County were dismissed by a judge. This means, the chances of your ticket getting dismissed are very slim. 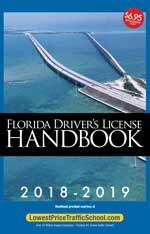 If you become a habitual offender and get multiple tickets over a 12-month, 18-month or 36-month time period, you will lose your license in the State of Florida. Suspensions are for 30 days, 90 days or an entire year, depending on how many points you get in the timeframe. It doesn't take many tickets to rack up the points and run through the potential license suspensions. After 12 points over a one-year period, the suspension is for 30 days. The suspensions get much worse and you only need a few more tickets after that to end up with longer license suspensions. First, plead guilty or no contest to the ticket and pay the fine. Second, let the clerk of the court know you will be attending traffic school online. Third, enroll in traffic school and take the basic driver improvement course. Fourth, turn in your certificate of completion to the clerk of the court. This is all it takes and it's a very small price to pay to keep your insurance rates from going up and points off your license. You will also be able to keep a larger buffer between the potential of a license suspension in Florida. 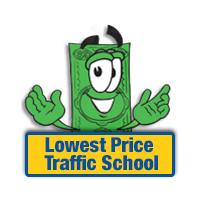 Are you Eligible for Traffic School Online? Traffic school eligibility is based on two factors: one, the last time you took the course, and two, how many times you've taken the course in the past. The State of Florida allows you to take the course up to five times and once every 12 months. If you haven't taken the course in 12 months or 5 times total, you're eligible. When you receive a traffic ticket in St. Cloud, you will make the payment to the Osceola County Clerk of the Court. This will also be where you go for any information and to turn in your certificate of completion from traffic school. Find out all the information you need about the Osceola County Clerk of the Court on their website.